The proverbial peripatetic achiever, Gregg Lynn has led a life of wanderlust in more ways than one. From hometown LA, his New York-London-San Francisco sojourn has been accompanied by a similar transition in career choice—not-for-profit field operations, executive recruitment, marketing consulting and writing, sponsorship development for international symposia—all culminating in real estate sales. The common element throughout has been a self-belief in his ability as a matchmaker supreme. That core unpinning has catapulted him to the top in Bay Area real estate where he operates at a height of success that matches the sales prices of the high-rise penthouses and houses with which he is so prominently associated–he recorded $115 million in sales in 2015 and has been consistently ranked in the top 3 within the city of San Francisco in terms of individual (not team) dollar sales. In 2003, it was time to leave consulting and enter the next phase of my professional life. I had sold a couple of condos of my own while I was New York and, interestingly, people began asking my opinion about what and where they should buy. I found myself advising them as a friend, helping them drill down into values and choose realtors. I became an unofficial advisor to a lot of people who were making significant money buying and selling real estate. At that point, I knew deep down that that I was going to be in real estate — I just didn’t know whether it would be in New York or San Francisco. I took a year’s sabbatical; turned 40 and had a big birthday party in Mexico City; had a ton of fun; and met Glenn, the guy whom I’m about to marry and spend the rest of my life with…all in one year. I assumed I was going into real estate in New York, but also I knew that San Francisco was going to be the place where I wanted to eventually live so I entrusted some realtor friends in San Francisco to help me get interviews with local brokerages. I met with the head of every firm and had deep, wonderful, intense conversations. I realized that they were all good firms with different offerings. But in my soul I realized early that I wanted to work for only one firm – Sotheby’s. I only wanted to work with the leading brand in international realty because I knew from the beginning that I wanted to do international real estate sales. I was alarmed to learn Sotheby’s did not want to hire me! I quickly learned it’s not a place for the first-time agent. Rather, it’s an elite brokerage of successful brokers who have learned the trade in other places and want to work for the world’s luxury boutique. There is no systematized training. You arrive and immediately start brokering. Patrick Barber, the then GM said “You do not want to work at Sotheby’s.” I said, “I am going to work at Sotheby’s.” He countered, “You may not work at Sotheby’s.” I responded, “Here is my list of five friends who are going to buy properties in the next 60 days.” To which he said, “Interesting list.” And I added “If three of these buyers have not purchased homes in 60 days, you can let me go.” I got the job and went to work February 1st 2005, within a week of getting my California license. All five friends bought homes within 60 days. It’s been a great ride ever since. Ironically, the recession helped us because we were not afraid to promote properties and aggressively market ourselves at a time when other realtors were cutting back. 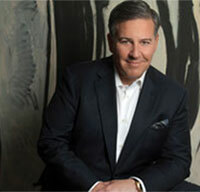 At the beginning of the recession, the CEO of Sotheby’s came to our office from New York and said, “This is a recession. At Sotheby’s we have the best clients in the business. Many of them are going to seize this opportunity to buy, and many of them are going to realize that they have to sell. And it’s you who needs to figure out who the most serious buyers and sellers are and go work with them.” That was a huge inspiration to me. During 2009 – 2011, we went from Top 50 to Top 5. Where you have a buoyant job market, you have a vibrant real estate market. There will be an inevitable weeding out of the tech unicorns, but once that happens, we’re going to realize that the internet is not going away and the San Francisco Bay Area is still the future of technology and is still the #1 job engine for the country. Who is going to overtake us in technology? What’s going to be more important than technology? When many high profile New York families are relocating to the Bay Area, as they are now, that’s a big positive sign about the future of the Bay Area real estate market. With $85 million in sales of luxury condos last year, I’m known as the go-to person for luxury condos. But my specialty is really luxury properties. The single family homes that I represent are special places. They don’t always sell in a couple of weeks, and the clients who hire me recognize that I take a much slower, more artistic and curated approach, as you would with a Picasso that needs to be restored before selling at its highest possible price. I work from the Bay to the Pacific Ocean, from the Marina to the ballpark. The northeast quadrant of the 7x7 is my specialty. Our sweet spot is in the $4 to 6 million. Most of our listings and most of our buyers fall within that range, although we have five buyers right now looking at homes under one million dollars and we’re delighted to be working with them as they’re great clients. I think people hire Sotheby’s because of its international recognition and the premium perception of the brand. I personify that, and can communicate how the Sotheby’s brand works for our clients. I sell property to international buyers around the world. I also aggressively participate with the network of 800+ offices of Sotheby’s International Realty. Where there are international Sotheby’s events that attract ultra-high net worth clients, such as a Sotheby’s Auction, or where there are event opportunities to present San Francisco properties to groups of global private bankers, I like to be there. That’s a big source of our new clients. When we work with clients, we operate according to a method and process. It’s not haphazard. We’re not making up the engagement as we go along. There are managed expectations, and clients really appreciate that because it’s what they expect from their other business advisory relationships. There are realtors who unnecessarily inflame escrows and stoke dramatic confrontations to flex their muscles and come off as super-heroes. Not so for the agents at the top. I’ve assembled an extraordinary team: extremely active associate realtors and two extremely productive support staff. The realtors assist me because we can’t be in all places at all times. The other half of the team is comprised of a chief of staff who manages all of our escrows, disclosures, compliance issues, logistics and vendors. He has client contact only when it comes to assembling our disclosure packages and communicating during escrow. And we have a marketing manager who supports all of our listings–print advertising, online support, collateral materials, video strategy, floor plans, etc. The annual payroll is significant–$700,000–but the investment pays out handsomely. We couldn’t do 100 transaction sides a year without the team. We want every one of our great clients to always believe at all times that they are our ONLY client. What would I hope my peers say about me behind my back? That Gregg Lynn is a great agent to do business with because he’s honest, caring and collaborative; that we’re going to take our clients to see his properties first because they’re always well represented and our buyers will have a quality experience; that negotiations will be transparent; that it’s going to be a painless escrow experience without any surprises; and that at the end, he’s going to buy us a bottle of champagne! We spend 30% of what we make in marketing, good times or bad. I don’t have my own logo because there is no better luxury brand than the billion dollar value of the Sotheby’s International Realty brand. Without it, I would not be as successful today. I like the media because that’s where buyers and sellers learn about their options. I speak to someone in the media three times a week on average. And I have my own PR consultant who is responsible for promotion of the Gregg Lynn brand and helping to market our listings. I work seven days a week, 18 hours a day but I have significant down time where I’m not seeing clients or agent colleagues. For example, Thursdays are when I work from home. I don’t take appointments but I’m on the phone and on email. I also take frequent trips away from San Francisco. My fiancé, Glenn, and I have a home in Palm Springs that we love getting away to regularly. I am fortunate to receive a lot of support in my life. I have an incredible fiancé. I have great friends, a psychiatrist, a personal trainer, a nutritionist, a leadership coach and a spiritual advisor – all of whom make me who I am today. Someone I’ve known for many years, who has been buying and selling a lot of property called and said, “Hey, I want you to sell a property for us.” It seemed like it was going to be a great engagement. As it turned out, they were very tough, challenging customers. We suggested one price and they wanted something significantly higher. Against our better instincts, we agreed to their listing price but received three offers that were exactly what we said it would sell at. The seller wouldn’t respond to the offers and considered them an insult. So, after those three offers were rejected, we realized we had a problem. We encouraged them to reduce the price, and they wouldn’t. It began to get nasty. They became horribly micro-managing. We told them at the end of the 90-day listing term that it was clear that the property was marketable, but they had to cooperate. They were doing an international move, and just assumed that we would extend the listing term, however we said, “No. We’re absolutely not going to extend.” They went nuclear. I said, “Don’t worry. We’ve identified an agent in our office who is a specialist in this neighborhood and who will handle your listing moving forward”. Surprisingly, on the last day of the engagement, we received an offer that matched the three previous offers and the sellers decided to accept it. The experience made us realize internally that we are good at what we do and that the relationships we have are so positive, productive and symbiotic that when we do get a bad apple client relationship, we have to end it quickly or it will prevent us from focusing on the clients who value our insight. We’re counselors, therapists & concierges for our clients. We connect them. We provide opinions and advice for weeks, months, even years. And sometimes they don’t even call us when they list their property with another realtor. And that’s very, very hard to take. That’s the abyss. When I started at Sotheby’s, I was assigned three mentors, all of whom were incredibly instrumental in my future development and success. Payton Stiewe exemplified drive, charisma, enthusiasm and effective networking. Paul Ybarbo was intellectual and procedural, suave and sophisticated, and calm–all the things that I was not. Jeffrey Castaldo was enthusiastic, bombastic, winner-take-all, loads of fun. He has a zeal for the business that I’ve never seen in anybody else. If you don’t have a background in sales, you’re going to find it extremely difficult to succeed in this business. You’re going to be helping people buy and sell what in many cases is the most valuable asset they own or will own. How are you as a new agent going to convince your client that they’re not leaving money on the table (when selling) or overpaying (when buying)? That’s a real question that most new agents never consider but it’s on the mind of every buyer and seller. I see a lot of entry-level agents who, one year later, haven’t done any business and it’s because they can’t convey that essential degree of confidence to their prospects or clients. When you’re having brain surgery, do you want somebody on their first day out of med school or do you want a doctor with 15 years of experience? That’s what you’re up against – think about it and have a plan to overcome this, or be prepared to fail. I take a three week disconnect vacation every summer. No email. No phone. The office can’t find me, and I can’t communicate with the office. That’s the time when I reconnect with my important relationships and the spiritual side of my being. Last summer it was so rewarding I proposed to my fiancé on a yacht traveling the Mediterranean (he accepted!). My most memorable dining experience in recent memory was at Saison on Brannan Street. I had just closed the clandestine sale of a $7.5 million property at $3,000/sf. My clients are real foodies, and so the moment that we closed they ordered Glenn and me to join them at Saison, which is a restaurant we had never heard of before. It’s a 3½-hour, 14-course, over-the-top culinary extravaganza we will never forget, better than French Laundry or Per Se—an extraordinary, intimate experience. There are only nine tables, and everybody is in the open kitchen. However, it’s not inexpensive and you have to close a $7.5 million deal before you feel comfortable picking up the check. People still speak of Florian Moore. She was one of the founders of the luxury real estate business in San Francisco. I started too late in the business to have met her, but I would have loved to have known her and worked for her because people are still talking about her to this day. That’s who I’d like to be. And I’d like to be remembered for having set the gold standard for the San Francisco luxury condominium marketplace that really didn’t exist before I got into the business. I believe I created that.